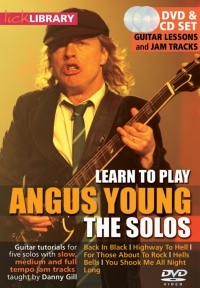 The Lick Library have added to their, already burgeoning, AC/DC selection by releasing Learn To Play Angus Young: The Solos and Jam With AC/DC Volume 2. Both of the new DVDs are taught by Danny Gill, a former pupil of Joe Satriani, and co-author of the Musicians Institute’s Rock Lead Guitar series. These guitar tutorial DVDs, in the customary Lick Library style, use a split screen to show you what both hands are doing, whilst breaking down these well loved tracks into bite sized pieces which are easy to follow and learn. 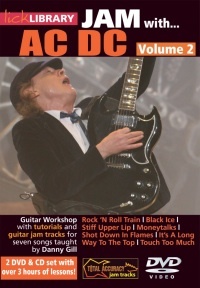 Jam with AC DC Volume 2 (RRP £27.99) – is a double DVD and play along CD of seven contemporary and classic AC DC tracks, Rock & Roll Train, Black Ice, Stiff Upper Lip, Money Talks, Shot Down In Flames, Touch To Much and It’s A Long Way To The Top (If You Want To Rock & Roll). Learn to Play Angus Young: The Solos (RRP £23.99) – is a DVD and CD set of five timeless solos from AC DC’s impressive track catalogue. 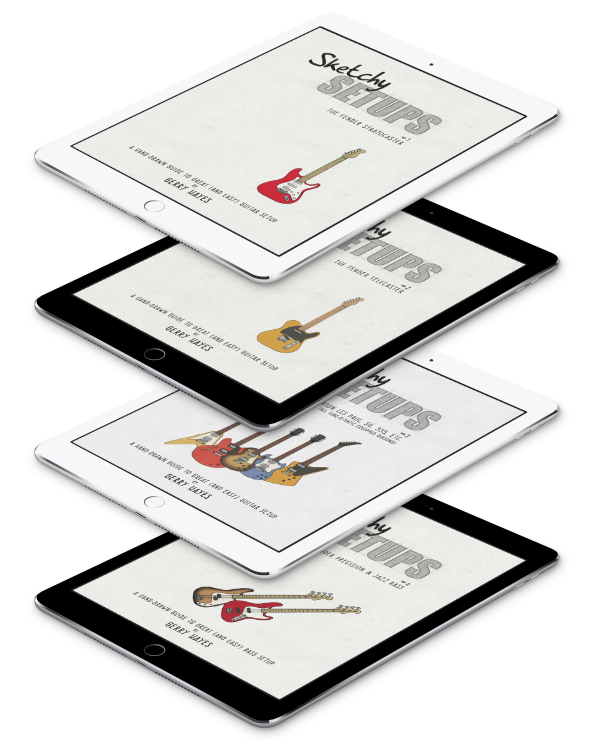 This guitar tuition DVD helps you learn the solos from Back in Black, You Shook Me All Night Long, and For Those About To Rock and the solos and outros from Highway to Hell and Hells Bells. The releases join the Lick Library’s other AC/DC titles (Learn to Play AC/DC Volumes 1,2 and 3, Jam with AC/DC Volume 1 and Quick Licks for Guitar: Angus Young). More info at the Lick Library.